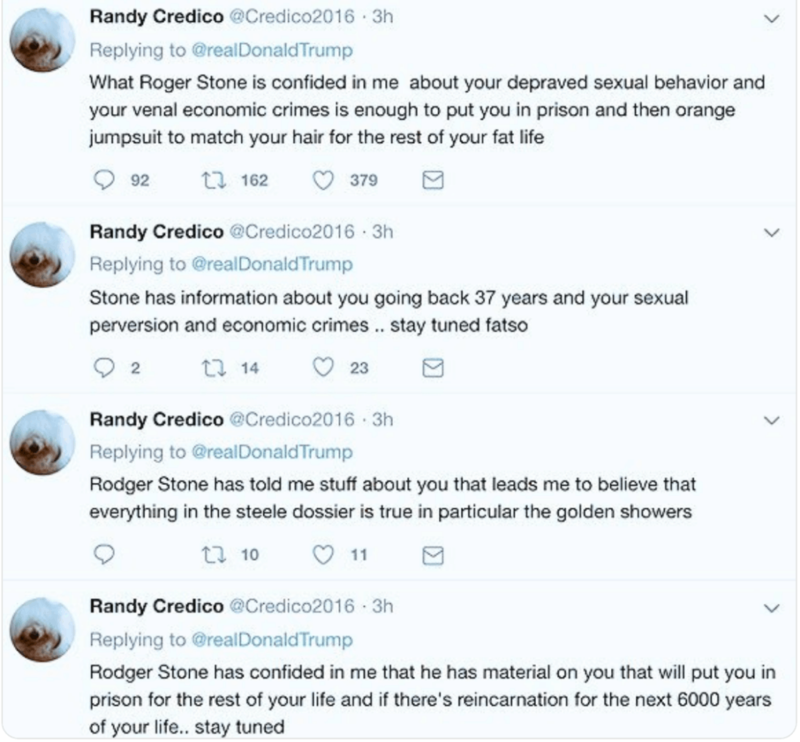 Robert Mueller witness, Randy Credico, claims on Twitter that Roger Stone told him of ‘depraved sexual behavior’ and ‘venal economic crimes’ on the part of President Trump. 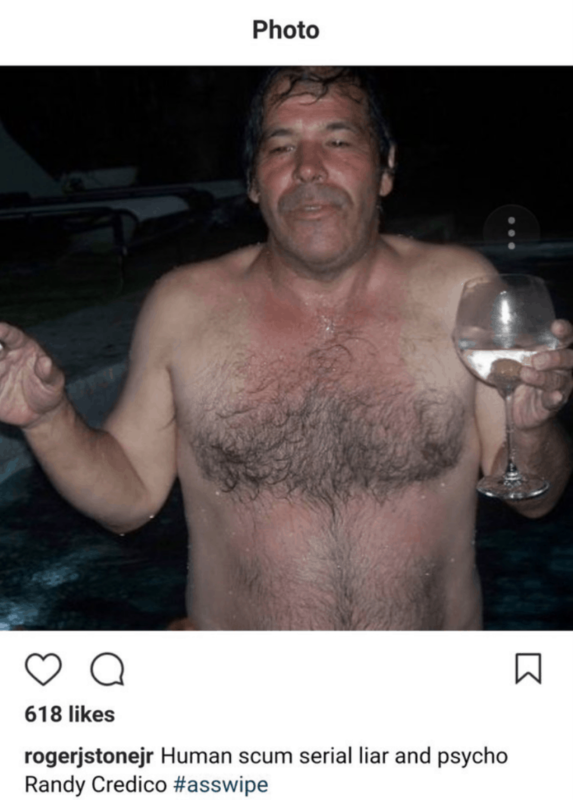 Roger Stone attacks Credico on Instagram. Soon after making these claims Credico’s Twitter account vanishes. Credico tells HillReporter that the tweets were “all a joke” and that he’s tired of Roger Stone “f*cking with” him. As Robert Mueller makes his way through dozens of witnesses in his probe of the Trump campaign’s ties to Russia, some rather interesting characters appear to be coming out of the woodwork. Besides Roger Stone, who is infamous for his wild and often unethical style of politics, a man named Randy Credico has been another intriguing person of interest for Mr, Mueller. Credico, who has been described as an associate of Stone for many years, was involved in a text message exchange with Mr. Stone in 2016 which has caught the interest of both Mueller and members of the House Intelligence Committee. These text messages indicated that Stone was seeking a presidential pardon for Wikileaks’ Julian Assange. Additionally Roger Stone himself testified before the House Intelligence Committee that Credico was an intermediary between himself and Wikileaks, and that Credico had informed him of Wikileaks’ Clinton email release prior to the emails actually being released. While Credico exercised his 5th Amendment right before the House Committee, in August of this year his attorneys announced that Mueller had subpoenaed him as well. This is what makes last night’s tweets so much more intriguing. To make matters even more interesting, while HillReporter began writing this story, Credico’s entire Twitter account was deleted. Considering the fact that Credico is now a witness in the Mueller probe, and that he posted a clear message to the president saying that he knows about both his ‘economic crimes’ and deviant ‘sexual behavior’, it makes the whole Randy Credico angle to this investigation even more interesting. Could Credico have tipped Mueller off to these crimes which he feels are “enough to put [Trump] in prison… for the rest of [his] life,” or is he simply trying to be an agitator? We also asked Credico whether he was still in talks with the special counsel’s office. 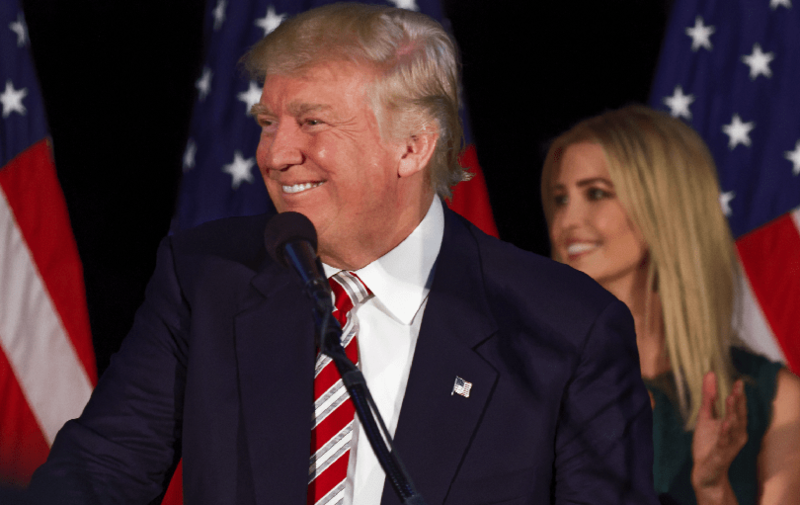 He referred us to his attorney but did claim that “Trump’s name never came up,” during his talks with Mueller’s team. One of my final questions to Credico this morning was whether or not he believes an indictment of Stone is coming. His reply was brief: “I really don’t know. I can only recommend that he get himself the 12-step program to come to grips with whatever is eating him up inside,” suggesting that Stone has an alcohol problem. Credico’s Twitter account, which was deleted only minutes before the publication of this story, had been active for more than 8 years and had over 30,000 tweets to its credit.